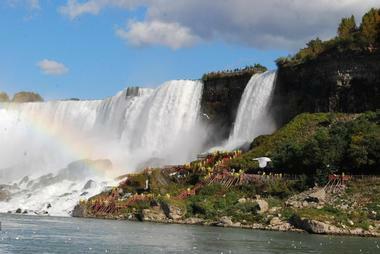 Niagara Falls is a must-see destination at least once in your life. 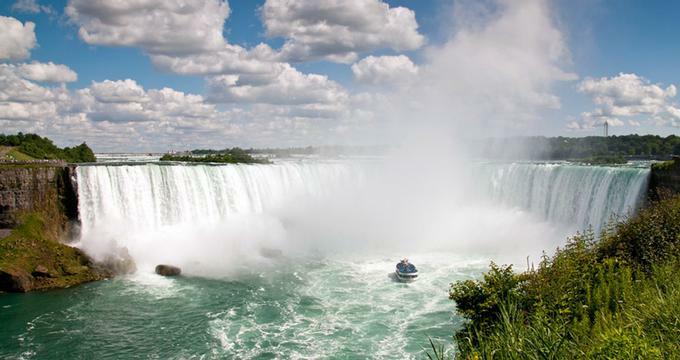 There are many ways to see the falls from both the New York and the Ontario side: take a cruise to admire the rushing water from up close, ride in the Whirlpool Aero Car to get a view from above, or board the Niagara SkyWheel for a rush of adrenaline along with the view. Once you are done admiring the falls, don’t head home just yet. 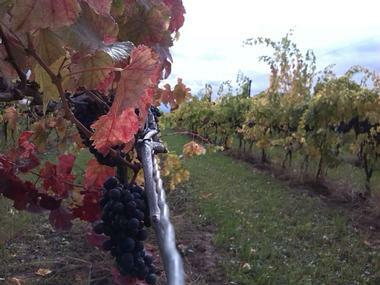 The area surrounding Niagara Falls is a popular destination for couples and families, offering many fun things to do, from scenic views and world-famous attractions to gardens, exotic animals, shopping and tours. Experience Niagara Falls on an unforgettable boat cruise which takes you through the mist and up to the face of the falls. Explore this natural wonder on a state-of-the-art 700-passenger catamaran or the private 150-passenger Hornblower Guardian jet boat. The official Canadian operator of boat tours, Hornblower Niagara Cruises offers a variety of tours in and around the falls. Go on the iconic ‘Voyage to the Falls Boat Tour’ during the day or experience the magnificence of the falls under a night sky of the dazzling stars aboard the fully-licensed ‘Falls Illumination’ or ‘Falls Fireworks Cruise’. 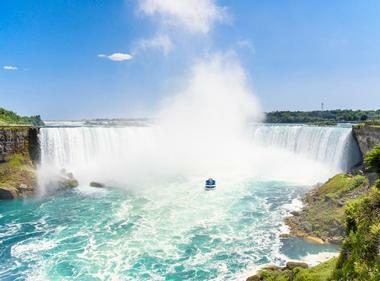 Both tours begin with the majestic Niagara Great Gorge and travel past the American Falls, Bridal Veil Falls and into the very heart of the famous Horseshoe Falls, to come as close as possible to the awe-inspiring flow of water tumbling over the falls. 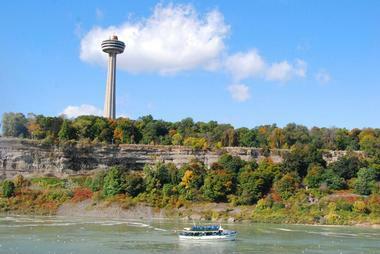 If you are planning a day trip from Toronto to Niagara Falls, this is a great activity. The spectacular Cave of the Winds Tour is an exhilarating walk that takes visitors into the stormy mist zone of Niagara Falls to soak up the experience of being next to one of the world’s greatest natural wonders. Before the adventure begins, visitors are geared up in protective clothing consisting of a souvenir rain poncho and specially designed anti-slip sandals before taking an elevator ride 175 feet down into the Niagara Gorge. 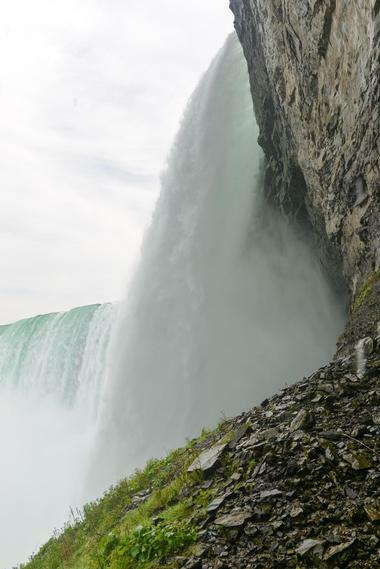 The walking tour then follows wooden walkways along the edge of the Niagara River to the Hurricane Deck, which is situated just a few feet from the thundering torrents of the falls and enshrouded in mists created from the rushing Bridal Veil Falls. Special edition Cave of the Winds Tours are offered in early spring, offering visitors the chance to see the winding walkways and decks being built for the upcoming season, which are removed and replaced each season due to the extreme weather conditions in the Gorge in the winter. 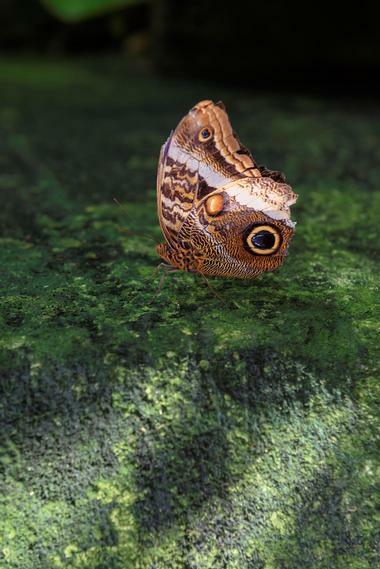 A wonderful attraction for the whole family, the Butterfly Conservatory is home to over 2,000 tropical butterflies, which fly around freely within the lush confines of the conservatory. Located on the grounds of the Niagara Parks Botanical Gardens, just 10 minutes north of the falls, the Butterfly Conservatory features a network of paths and walkways winding their way through a rich, tropical rainforest environment consisting of ponds, waterfalls and verdant vegetation. The conservancy features an Emergence Window where the butterflies pupate and take their first flight, as well as a short, informative video presentation on the conservancy and educational materials for teachers and school trips. You've seen the mighty Niagara Falls from the front, now go behind them in this unique and exhilarating adventure, which takes you deep into the heart of the falls. ‘Journey Behind the Falls’ begins in the Table Rock Welcome Centre at the edge of the Canadian Horseshoe Falls where an elevator ride takes you 150 feet down through bedrock to a network of tunnels that rest one third of the way behind the thundering sheet of water, and lead to the Cataract Portal and Great Falls Portal. View the Falls from the Upper and Lower Observation Decks, which are based at the very foot of the mighty waterfall and take in the spectacular sights and sounds of water crashing down to the basin below. 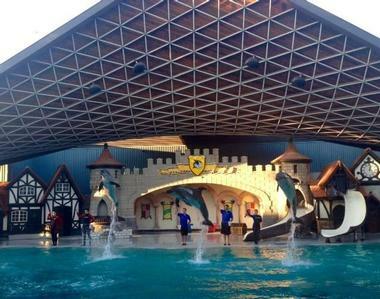 Marineland Canada is a themed amusement park and animal exhibition center at Niagara Falls in Ontario. In addition to Archic beluga whales, Marineland is also home to a variety of large sea mammals, including orcas or killer whales, bottlenose dolphins, sea lions and walruses, as well as a range of land animals, including black bear, buffalo and elk. At the park’s Arctic Cove area, visitors can participate in an interactive experience with beluga whales with a ‘touch and feed’ show. State-of-the-art underwater viewing windows allow visitors to watch beluga and killer whales beneath the water. The park boasts a number of family-friendly rides and amusement park adventures, such as the Ocean Odyssey, Bumble Bee, Orca Screamer and the famous Sky Screamer, the world's highest triple tower ride. Located in the heart of the Niagara Falls entertainment district, the world-famous Skylon Tower is surrounded by busy hotels, the Fallsview Casino, bustling restaurants and bars. The observation tower is ideally located just steps from the falls, making it one of the region’s most visited attractions. Standing 520 feet (160 meters) above street level and 775 feet (236 meters) from the bottom of the falls, the tower has an observation deck which can be reached by three signature, glass-enclosed elevators in less than a minute and offer magnificent views all the way up. Once on the observation deck, 360-degree panoramic views take in the falls, Niagara wine country and the striking skylines of Toronto and Buffalo. Dine in style 775 feet above Niagara Falls at one of two excellent restaurants in the tower - the world-famous Revolving Dining Room Restaurant, or the family-friendly Summit Suite Buffet Dining Room restaurant. 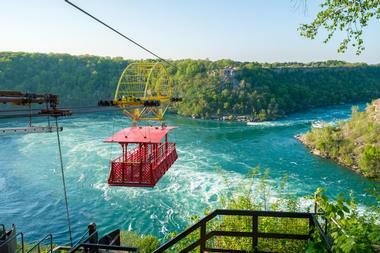 The Whirlpool Aero Car is a cable car that takes visitors over the Niagara Whirlpool, named for its whirling, raging waters. Six sturdy cables support the antique cable car, which transports 35 passengers across a one-kilometer section of the river, providing an exhilarating experience of floating high above the swirling whirlpool below. If being airborne is not for you, then head to the White Water Walk, which is a wooden boardwalk winds alongside the raging rapids of the river, offering nearly as spectacular views. Located on Clifton Hill in Niagara Falls, the Niagara SkyWheel is a 175-foot high (53.3 meter) Ferris wheel that provides breathtaking views of Niagara Falls and its surroundings. Towering high above the Niagara Falls horizon, the SkyWheel gives unfettered views of the Horseshoe and American Falls, the Niagara River, and other well-known landmarks in the area in climate-controlled gondolas with panoramic windows. 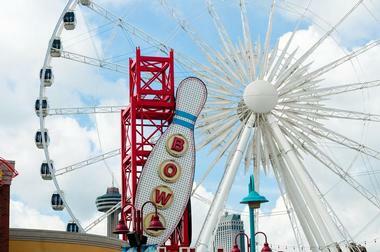 Trips on the SkyWheel range from eight to twelve minutes and offer spectacular aerial views for miles in every direction, with bird’s eye views of the Niagara River, Niagara Parks, and Clifton Hill. Sunset and evening rides offer sensational views of the glittering lights of the Niagara skyline and the vast starlit sky. Board the Maid of the Mist and admire the power and hear the thundering roar of thousands of gallons of water falling right before your eyes and feel the mighty rush of the mist on your face. First launched in 1846, the Maid of the Mist has been running sightseeing tours to the falls and giving visitors an up-close and personal experience of these magnificent falls for nearly 170 years. 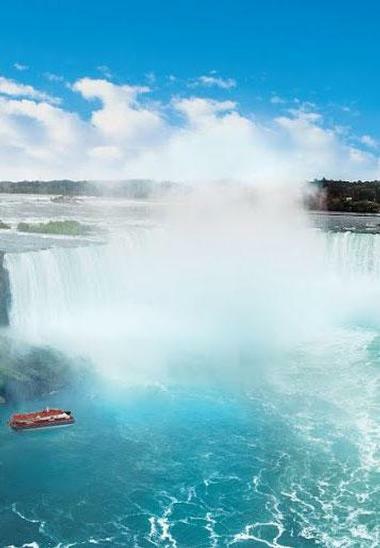 Operated from the American side of the falls, the tour begins in the calm waters of the Niagara River near the Rainbow Bridge and cruises past the American and Bridal Veil Falls, before heading into the dense mist of the famous Horseshoe Falls, also known as the Canadian Falls. Ponchos are provided to each guest on the tour, but be prepared to get wet. Discover some of the world’s most exotic birds and animals in the tropical rainforest display at Bird Kingdom in Niagara Falls. The largest indoor free-flying aviary in the world, Bird Kingdom is a family-friendly adventure that offers hours of fun for all ages. Travel back in time at the mysterious ‘Old Museum’, have a close encounter with a parrot and other exotic birds at the ‘Explorer's Base Camp’ and take in the spectacular views of the ‘Niagara River Gorge’ from the depths of the bird-filled jungle. Experience the creatures of the night in the ‘Night Jungle’ exhibit and search for treasures in the ‘Archaeology Dig’ section. Wander through ‘Discover The Kingdom’ where you are surrounded by free-flying winged creatures from all over the world, feed birds by hand at Lorikeet Landing and enjoy a refreshment at the Javanese house deep within the jungle. Fashion Outlets of Niagara Falls is a vast indoor outlet shopping mall lLocated just ten minutes from Niagara Falls State Park. 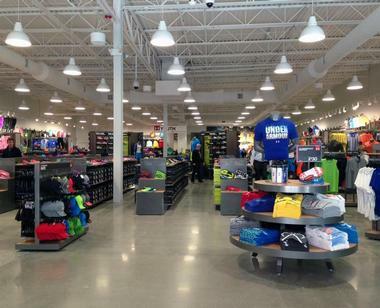 The single level outlet mall features over 200 designer outlets, offering savings of up to 75% off on designer brands. Major brands in the mall include Saks Fifth Avenue OFF 5th, Forever 21, Michael Kors, Tommy Hilfiger and Burberry, while popular national brands like Banana Republic, J.Crew, and Nike, among others, are also present. In addition to an excellent selection of outlet retailers, Fashion Outlets features a food court, which boasts an array of quick service food options for fast and easy eats, as well as a list of amenities for added convenience such as currency exchange, translation services, taxi services and free Wi-Fi. 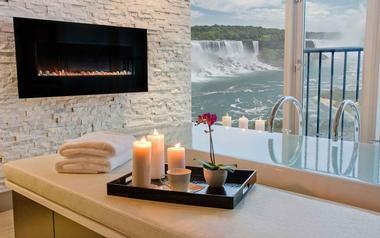 Christienne Fallsview Spa offers an array of luxurious and pampering body treatments, massages and facials, complemented by the breathtaking views of both the Canadian and American falls. Decorated in natural elements of wood and stone to create a soothing and serene ambiance, the luxury spa offers a variety of treatments, including massages such as deep tissue, stress relief and the new Thai Hot Stem Massage, body sculpture, wraps, toning, facials, manicures, pedicures, tinting and waxing. An exclusive feature of the spa is the Infinity Hydrotherapy tub, an overflowing hydrotherapy bath with panoramic views of the falls, complemented with a gentle rainforest shower and wall mounted fireplace, creating the ultimate escape for relaxation and rejuvenation. 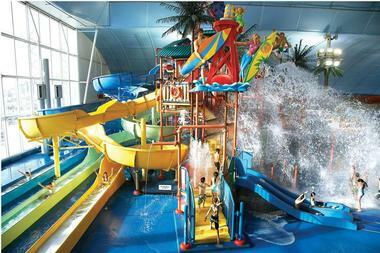 Fallsview Indoor Waterpark is North America’s largest indoor water park, spanning three acres and featuring a full-sized indoor wave pool, six swimming pools and hot springs, 16 thrilling water rides and a year-round outdoor activity pool and sun deck. Boasting a massive play area for children of all ages, the park has a 1,000-gallon tipping bucket, plunge bowl and adult-only Jacuzzis, as well as a variety of waterslides, themed rides and water-based adventures. Other attractions at the park include a jungle-style beach for children to play in, Planet Hollywood Beach Club - a beach club-style restaurant and a bar, and a number of land-based museums within walking distance. What's near Niagara Falls? 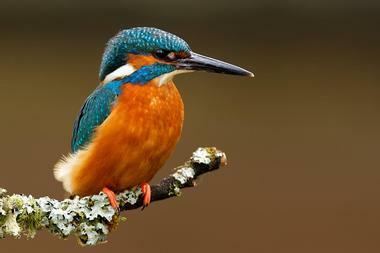 Visit the Buffalo and Erie County Botanical Gardens and the Erie Zoo & Botanical Gardens. Stylish and sophisticated with fabulous views, Club 21 lives up to its reputation of being one of the best steak and seafood restaurants in Niagara with pride. Located through Salon Privé on the casino floor of the Falls View Casino, this elegant eatery offers an excellent menu featuring prime-aged steaks and chops, first-class seafood and poultry specialties and an award-winning wine cellar. Overlooking the famous Horseshoe Falls, the restaurant’s contemporary setting complements the exquisite dishes prepared by Executive Chef Ray Taylor, with beautifully laid tables in a spacious dining room, low lighting and a sleek bar with comfortable red leather loungers. Ideal for a business meeting, romantic meal, or simply a great night out on the town.